There are a lot of touring bicycles to choose from, but the Co-Motion Pangea has been my dream touring bike for the past several years. This year (2012) I finally got a Pangea of my own and I’m currently using it to travel for more than eight months across several European countries. I’ll be posting a full review of the bicycle at some point in the near future, but for now please enjoy these two pictures of me and my new Co-Motion Pangea touring bicycle. 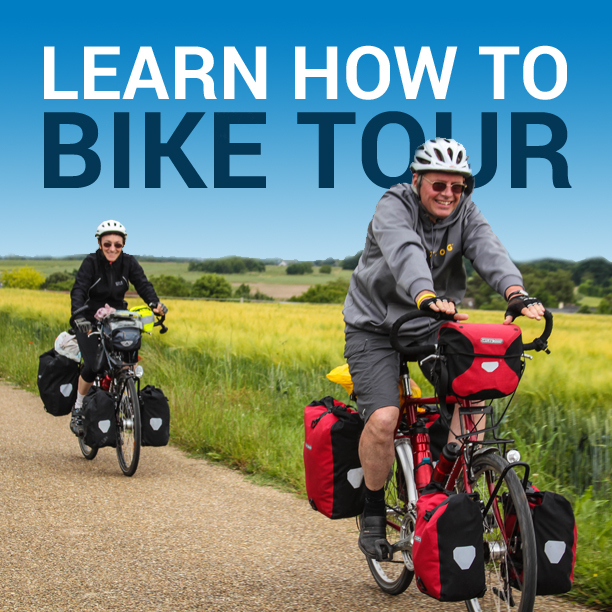 Click here to learn more about why I chose to use this particular touring bicycle for my current trip across Europe. Photos taken in Camarillo, California. This entry was posted in Bicycles, Darren Alff's Bike Tour Blog, Photos, Products and tagged best touring bicycle in the world, bike touring pro, co-motion pangea, comotion pangea, comotion pangea touring bicycle, darren alff, panga tour bike, panga touring bicycle, pangea touring bicycle, touring bicycles, who is the bicycle touring pro, world's best touring bike.